I've put your entry in Le mundo , you'll need to send a request to join the racenet league HERE if you haven't done so already. Hi Toast...know I'm late thought id give it a go...if I can, if its too late no big deak. @stevielow wrote: Hi Toast...know I'm late thought id give it a go...if I can, if its too late no big deak. Too late for round 1 unfortunately but round 2 starts up in just under an hour . I've got you registered and league request accepted so you're ready to go for the rest of the season! yeah its definitely one of the toughest cars in Dirt Rally, but very rewarding when it goes smoothly. don't think that's your forum name there Simonz! 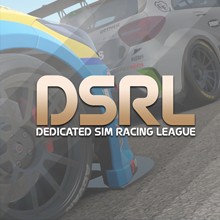 I still haven't seen a request to join on the racenet league Simonz, are you sure you've submitted it to HERE?